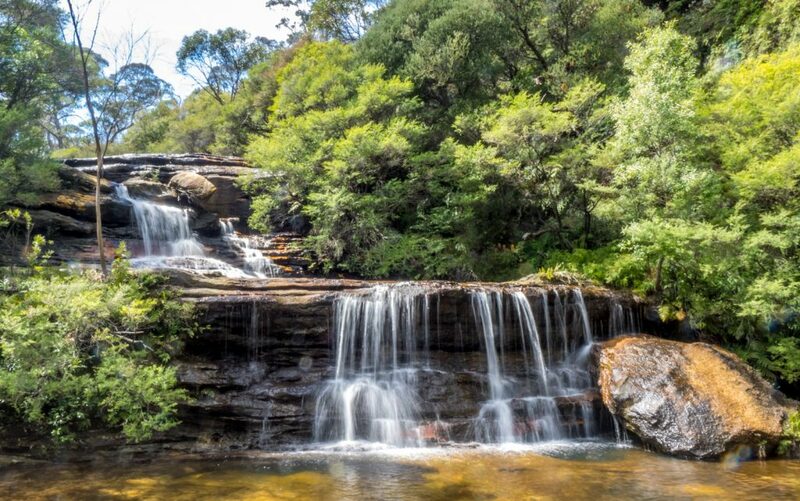 We just spent an amazing four days in the Blue Mountains West of Sydney with the great mix of nature, attractions and so me chilled out relaxed time. 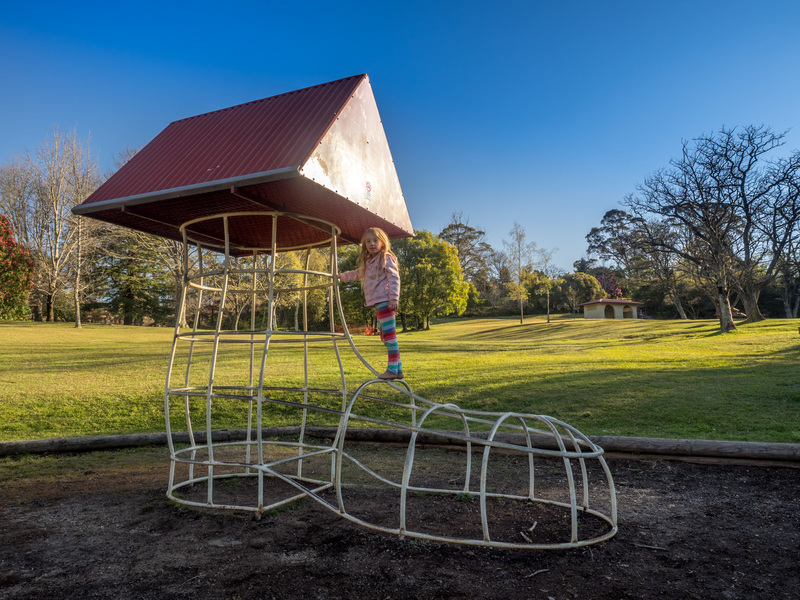 We arrived in the Blue Mountains in our motorhome and we were planning to stay either at Katoomba or Blackheath caravan parks. Both are run by the council and the friendly staff suggested that Blackheath might suit us better … They were right. It’s a small town on the top of the hill with a railway station and plenty of restaurants and cafes. 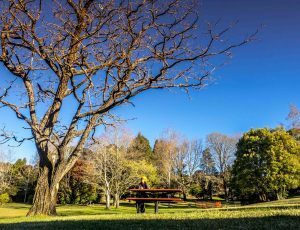 The caravan park is a few hundred metres down the hill and it’s very quiet and family friendly with a park right across the road. 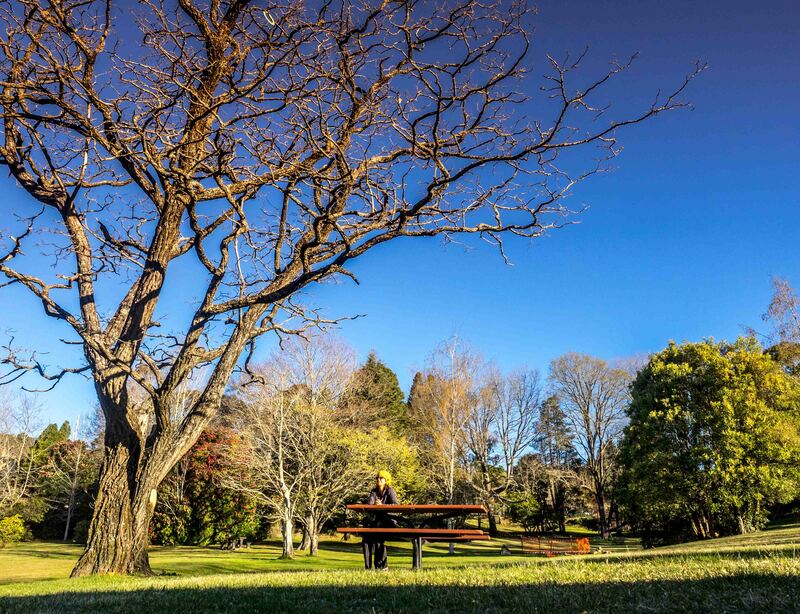 In Blackheath itself there is the amazing Rhododendron Gardens which were just coming into season in early October but which would be spectacular in full bloom. At the end of the road from the main street is Govet’s leap which offers an amazing view of the distinctly blue mountains. 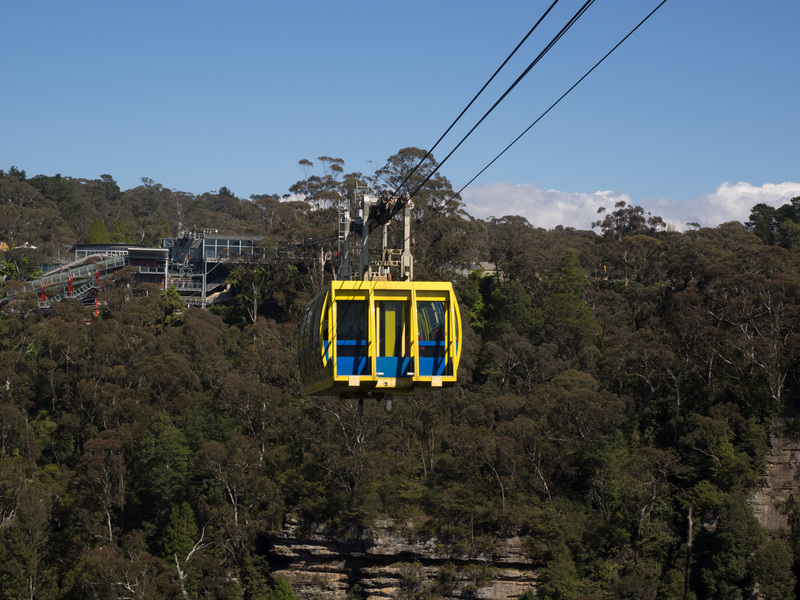 The Blue Mountains is really a magnificent natural wonder and it’s so close to Sydney that it’s a shame not to visit. We were there for four nights and found something wonderful to do each day. 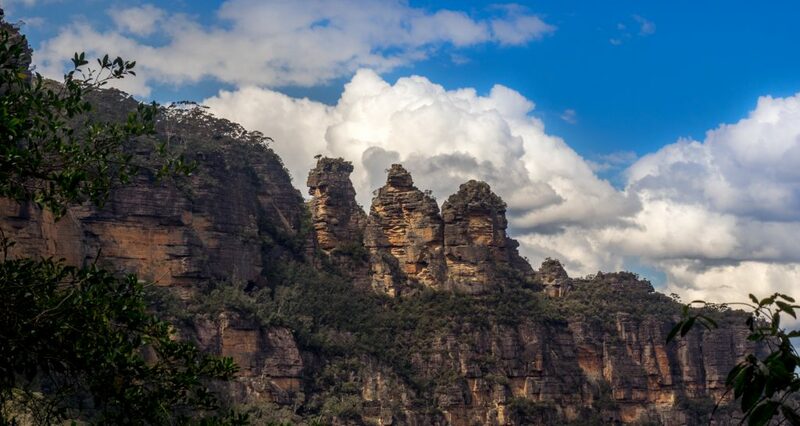 At the world famous Three Sisters is the tourist attraction called Scenic World. 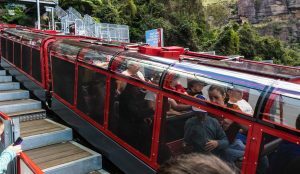 It offers a few hours of activities based around seeing the natural landscape and history in a unique mix of cable cars, and the famously steep scenic railway. The views are world class and amazing … the kids loved seeing them from the suspended vehicles and walks. Definitely a few hours well spent and there’s a good cafe and gift shop as well. 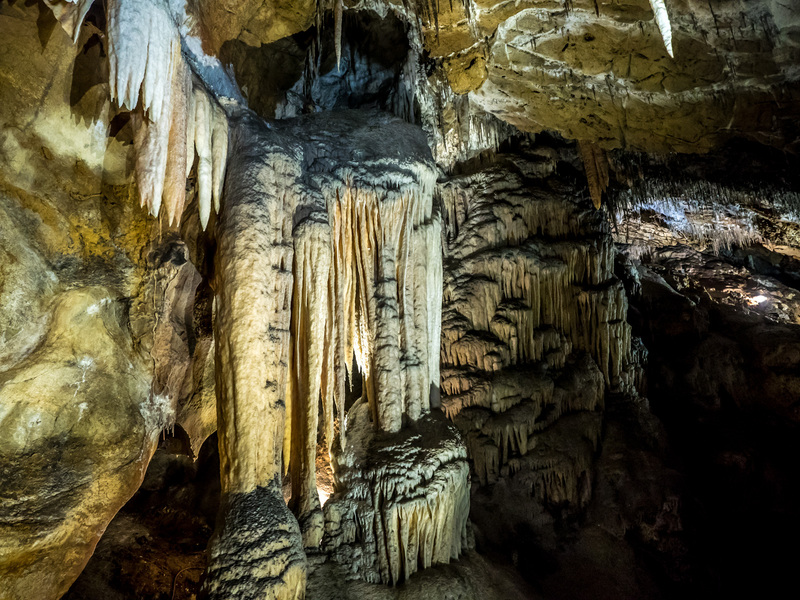 The Jenolan Caves are some of the oldest accessed limestone caves in Australia and they are well preserved. 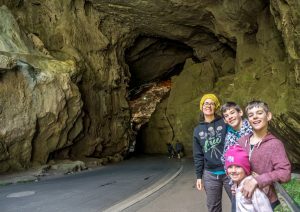 Getting to the caves took about 45 minutes from Blackheath and the drive extremely winding and could be dangerous. In fact at certain hours of the day traffic is only allowed to travel in one direction so please check before making your trip. The road is not suitable for articulated vehicles nor recommended for caravans or trucks … however we did the trip in the motorhome ok. The caves are popular and tours do sellout so it is recommended to make bookings prior to arriving if you want to do a particular cave at a particular time. There are many caves and they do have different features so my advice would be to call the visitor centre a day before to discuss the best option. We did two tours with lunch in between and to be honest that was a bit much for our young children. If you buy one tour you get access to a free self-guided tour and I think that would have been enough for us. Once again there is a cafe but only water is allowed in the caves. 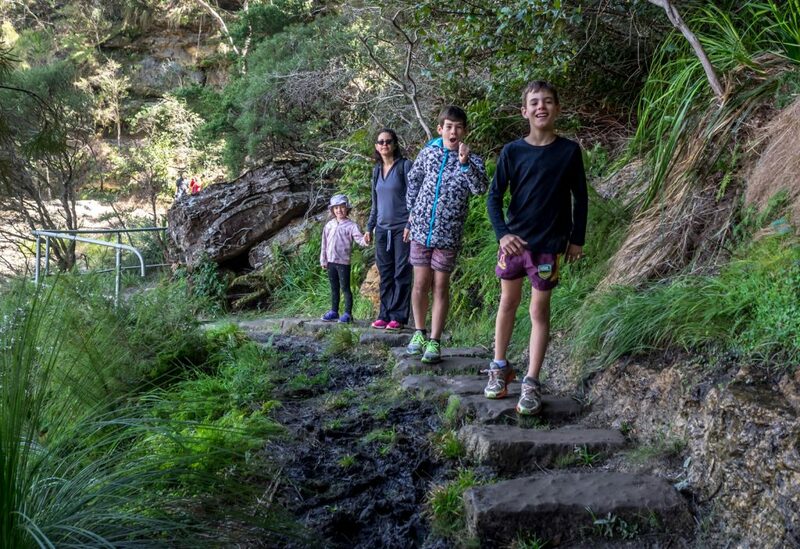 For our dose of bushwalking we chose to do one of the easier tracks that lead to Wentworth Falls. The Undercliff path takes you literally underneath the cliff faces or in some cases the track is borrowed out of the cliff. 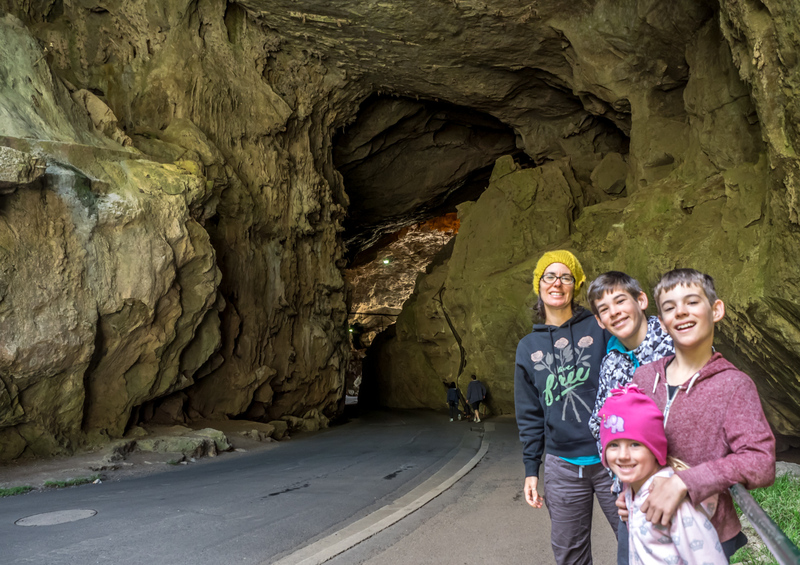 It’s very spectacular with a few great spots to grab a photo on the way … the kids love that too. Of course there are a lot more things that you could do in the area however we balanced the great outdoors with some relaxation time because it’s just that kind place. 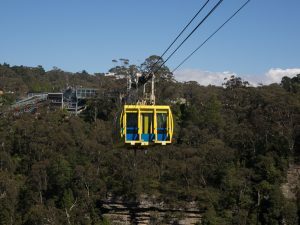 If you haven’t been to the Blue Mountains then add it to a trip sometimes soon.